I am so excited to finally be able to share this beautiful quilt with you, I have been working on it all week and if you follow me on Instagram you would have seen a few work on progress pictures. 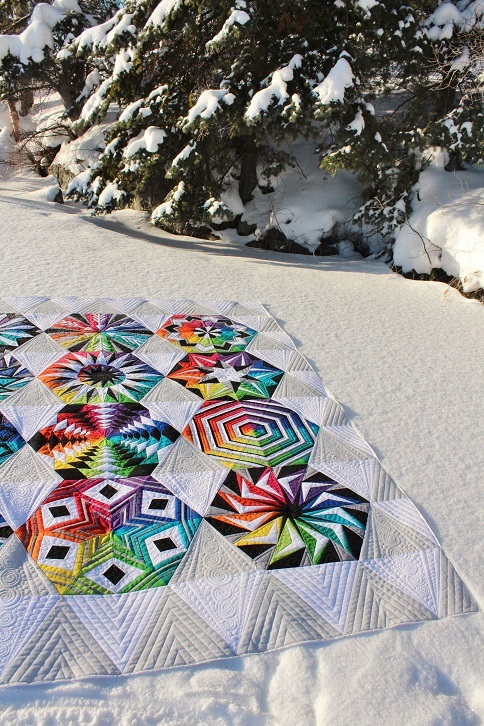 This quilt belongs to Megan and the pattern is called Arcadia Avenue. This is a very challenging pattern to piece and Megan did a fantastic job. She asked for custom quilting and shared some pictures of quilting designs she liked for inspiration. The first thing I sketched was the diamond design as it would be the focus in the background fabrics. I knew the rest of the background should be clean lines as the piecing is the main focus and my quilting should enhance the piecing and not take away from it. I used So Fine white thread in the background and Invisible MonoPoly thread in the blocks. The backing thread is was white Bottom Line. Megan sent Warm and White 100% cotton batting. I'm so happy with how flat this quilt lays after quilting! 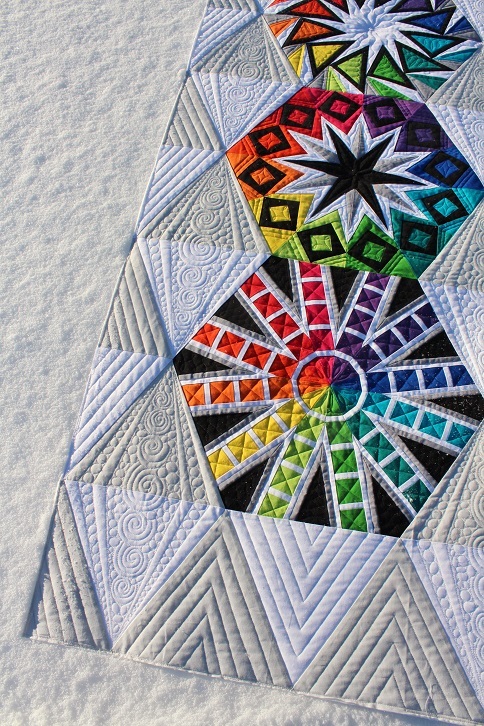 Here are some close up picture of the blocks so you can see some of the quilting designs. I used the quilt the pattern designers had made for Quilt Market in 2014 for quilting inspiration, you can see it here. Some blocks I quilted very similar and other very different. The are all a mix of stitch in the ditch, echo lines and free motion designs. Sorry for the picture overload but since I haven't posted in a week I thought I better make up for that! We had a lot of snow fall this past weekend and it was-26'c with a -32 windchill when I was out taking these pictures this morning. Brrr! We have been having a very mild winter this year so I'm not complaining! Lost for words, stunning doesn't even come close, Superb quilting, amazing design, and fantastic finishing. The snow for a backdrop, delightful. Your quilting is exquisite!! Sheer perfection! WOW!!!!! 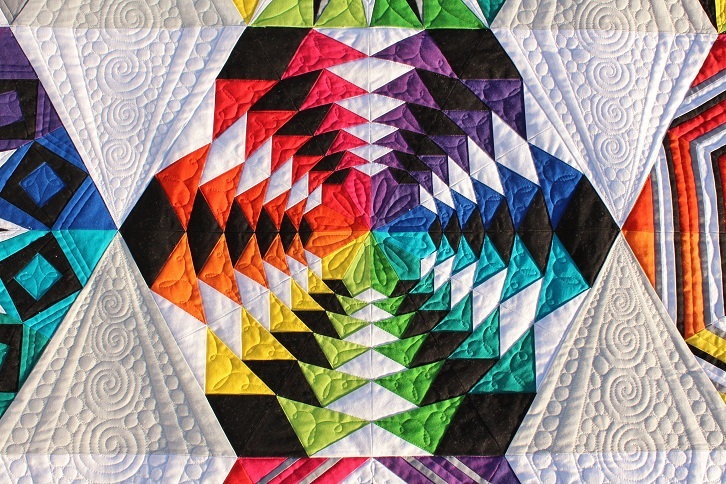 Gorgeous pics of a stunning quilt! Wow! 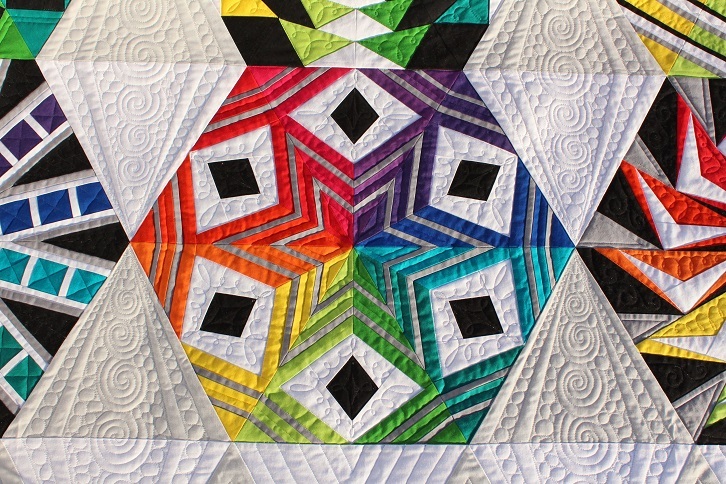 Awesome quilt through and through! STUNNING! 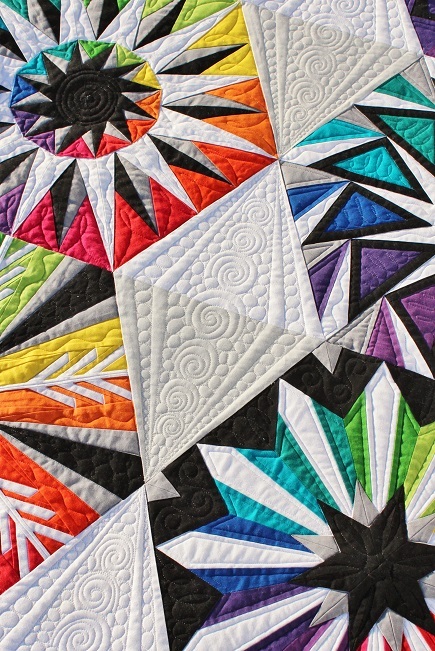 The cohesion of your quilting designs blend beautifully. 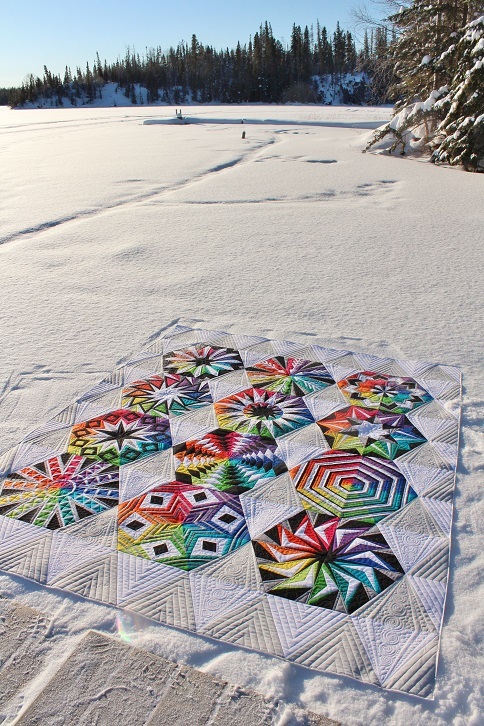 Looks like fabulous piecing, makes a nice quilt to work with. Loving that snow! Kathy you did a fantabulous job on it!! So fun to see all the different designs. My favorite is the diamonds with the pebbles and swirls! So, so pretty! 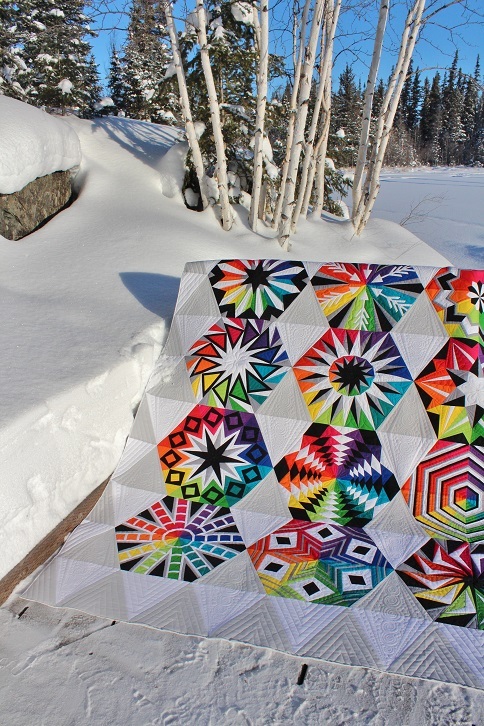 I think the quilt is lovely and your quilting is perfection! 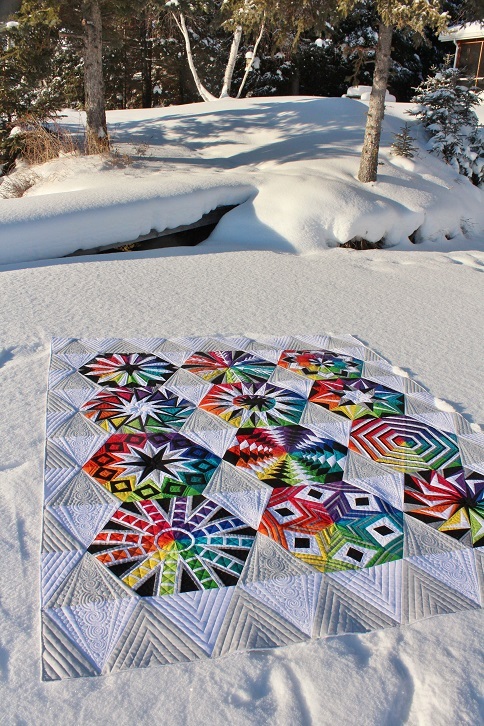 Thanks so much for posting the beautiful photos and know that you will never "overload us" with quilting photos! Stunning- the piecing is absolutely gorgeous. What a piece of art. The quilting is such a compliment to it. Oh wow I am just speechless! 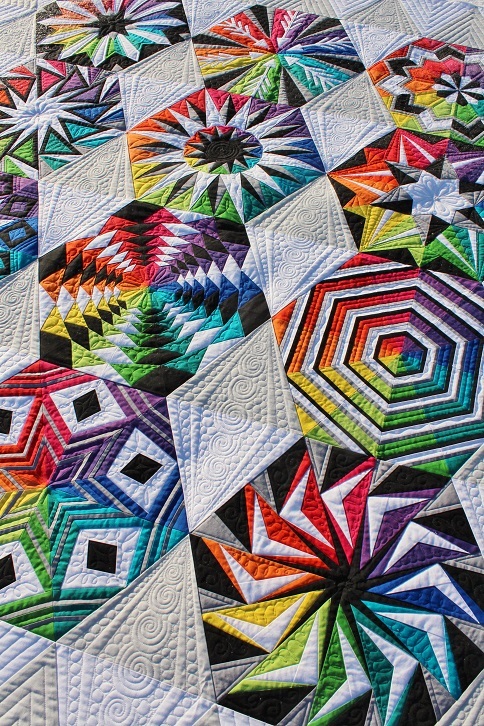 This quilt is spectacular! 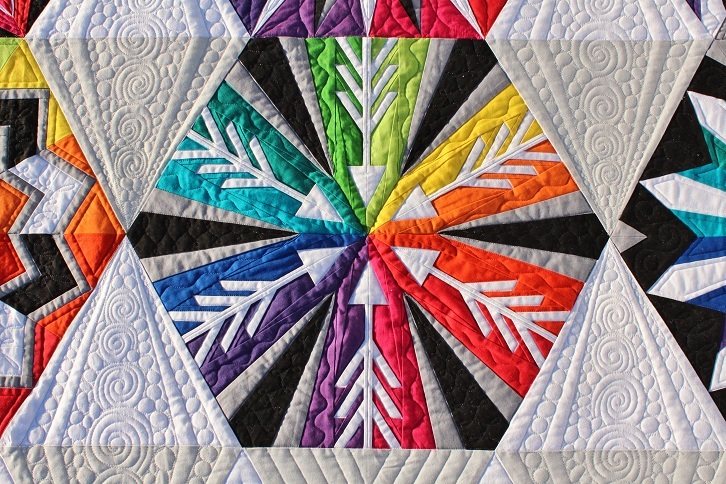 Your quilting is so perfect for this quilt - such beautiful details but not taking away from the amazing piecing and colors. I am in awe! Wow! 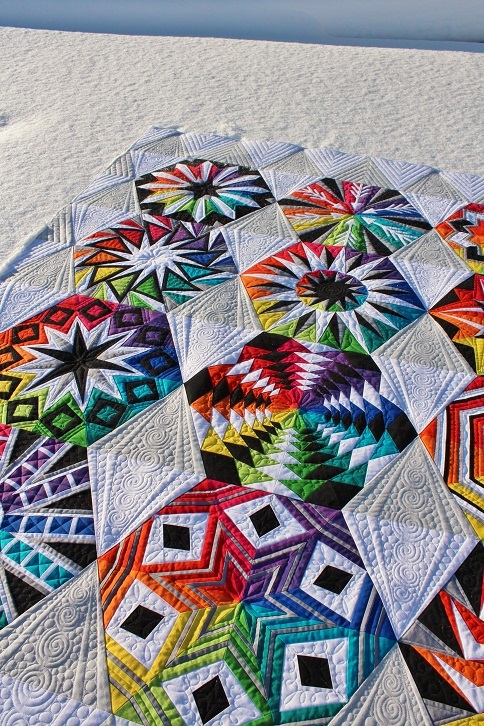 Stunning quilt, and you've quilted it gorgeously! 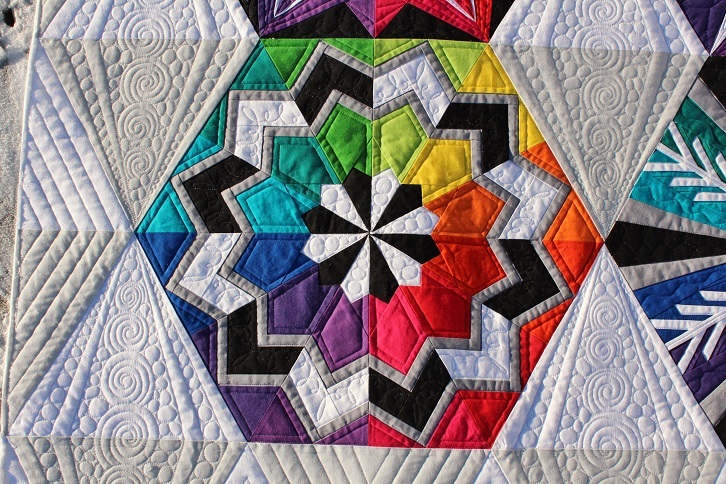 Absolutely stunning, beautiful quilt beautiful quilting. О!Чарівна ковдра в казковому краєвиді!!! THAT!!! Is so amazing!! 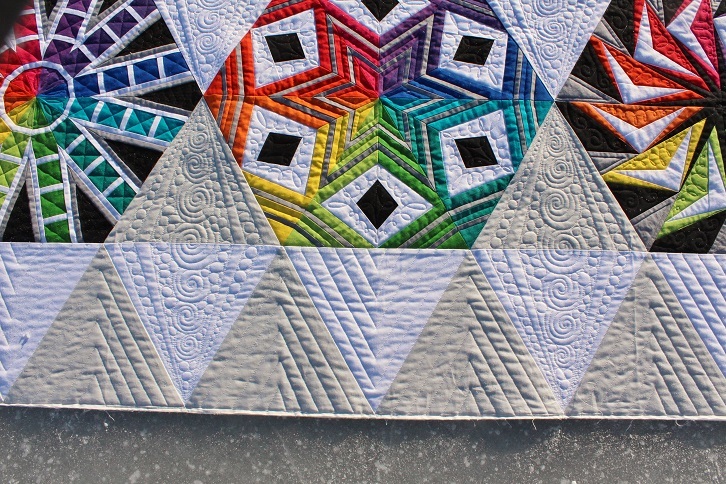 What awesome quilting to compliment a great quilt! AWESOME! I'll take some of that snow too...Temps in the 90's here on the Oregon Coast (very rare for it to be that got here)! 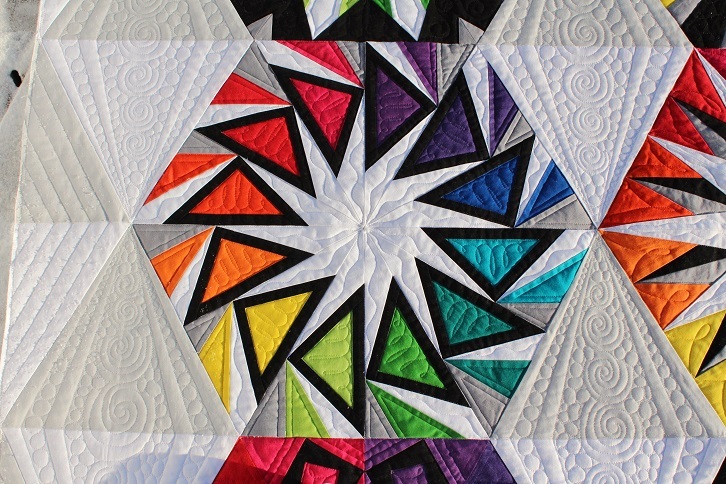 Thanks for the detailed pics if your quilting! Awesome! beautiful work! love the colors, stunning!